Jonathan Muñoz-Proulx has served as Associate Producer of Skylight Theatre and as Artistic Assistant at East West Players. He has served on the California Arts Council and the Los Angeles County Arts Commission grant review panels. 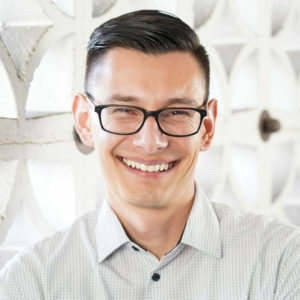 Muñoz-Proulx is on the Latinx Theatre Commons National Advisory Committee, and he held the position of Vice Chair of the Alliance of Los Angeles Playwrights for five years. He is a script nominator for the Kilroy List, advocating for gender parity in theatre by championing new plays by women and transgender writers of color. Muñoz-Proulx was elected to the 2017 Emerging Arts Leaders Los Angeles Leadership Council, where he served as Programming Committee Co-Chair. He has also worked with Center Theatre Group, Boston Court Theatre, 24th Street Theatre, Playwrights’ Arena, Pacific Resident Theatre, Chalk Rep, EST/LA, Bootleg Theater, and Watts Village Theatre Company. Jonathan is a graduate of the University of Southern California, School of Dramatic Arts, where he has served as adjunct faculty to the MFA in Acting program.